In 2011 - 2012 I've done a tremendous Room Data Sheet Api work for Muscat International Airport Terminal Building. The client was asking for floor + ceiling Plans, all interior elevations and isometric view of the rooms. I also had to integrate some external data to the ones I was getting from Revit. Pretty straight forward. The thing was it had 4000+ rooms in tens of Revit Files! That's when I've first dived in the coding stuff. There was a huge man-hours of repetitive work ahead and any thing I could automate no matter what percentage was a true win. In 2011 neither myself nor the Revit API was what it is today :) But I did OK.. Recently demons of "Very Important Never Accessed Folders" let me find my original code.. Despite all the things it was doing, it didn't get anything from Linked Documents. Yes, of course there is a workaround. There always is. It is just a question of how much effort it takes, and how efficient it turns out to be. add some other criterion to select the ones you want. The result of this testing is a very basic app I call "RDS Buddy". Your "RDS Buddy". Does not do the job for you. But sure helps you do it.. I'm not sure why Formwork quantification is such a big deal in Turkey and not so much in other countries. Any how that request also found me a couple of weeks ago. As an Architect, I'm more of a "do it in Revit with modeling" kinda guy than a script/add-in spitting some values. So I've made a Dynamo script that creates Formwork. Here's a brief video showing my workflow in Revit and Dynamo. I've also coded some companion add-ins. Ranging from basic stuff that writes the Formwork area sums back to elements to an add-in I call "Everything's a Formwork if you're brave enough." I'll be coding one this week that will be nesting the Formworks to XY plane, joining/splitting Formworks, marking etc. for fabrication. It's good enough for the task in my hands as it is but I'll try to refine it further. So still a work in progress project. Any advice/recommendation from Structure People for guiding an Architect to the right direction is highly appreciated..
Hi Mehmet, thank you for the interesting overview. I would love to hear more details on the workflow you created and the tools you are using, especially anything that you implemented yourself using the Revit API. Cheers, Jeremy. Wow! Getting a comment from my personal Hero feels great and is very encouraging! I'm a Senior Architect and (by choice) a BIM manager. Throughout my career I usually worked for the General Contractors and mostly on large-scale projects. Things are a little bit different when the project is around or above 500.000 m² (5mil ft²) and being able to do BIM boils down to numbers. Number of Revit licenses and people you could get from the management. To be able to do BIM you need people to collaborate based on their professional and modeling skills. In a large-scale project you can't solely rely on the Contract to get the resources you need! You have to prove it. And prove it fast! 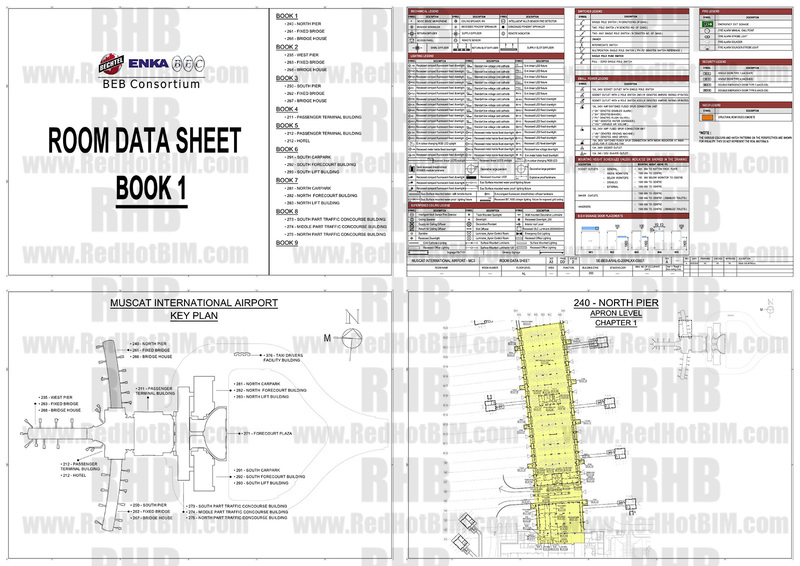 The contract may well say "all drawings should be prepared with the BIM authoring tool." But there's always an ongoing negotiation both with the client and inbetween GC Joit Venture. And these negotiations are led by not technical or process minded people but by numbers minded people. Every GC probably has a Cad-House in a country with low labor costs. Before you even know an innocent whisper comes to your ear "Let's do BIM models for coordination and drawings in Cad". Normally I shouldn't mind this. But in real life it means "We'll give you less resource, expect all your deliverables like MTOs, QTOs, RDSs etc. and guess what! you have to create all the views/sheets and export them for Cad-guys to annotate! 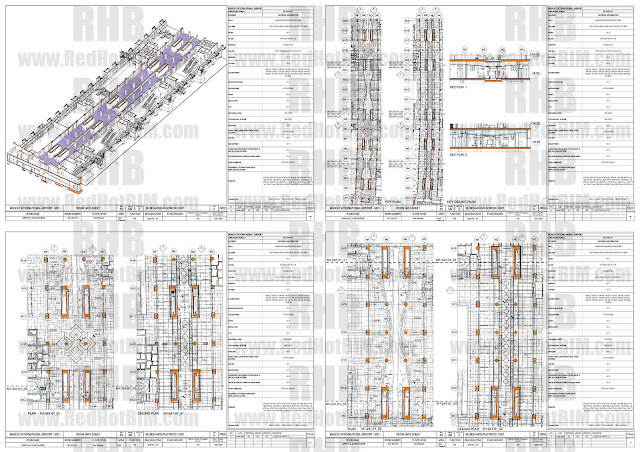 Of course you have to track all DWGs and changes/variations"
By abstraction I can utilize anyone in our process. I also divide my M3 and M2 files(3d and 2d models) according to BS 1192:2007. So with a few hours of training anyone can be producing sheets without the risk of ruining M3s. So asking for annotation in Cad really means loosing M2 guys (mostly drafters) and instead trade people doing inefficient tasks. In one occasion similar to above, Architects were modeling structural concrete and exporting for Senior Structural Drafters and Engineers. These drafters had 10-30 years of experience and were really good at what they were doing! But they only knew how to draw 2d in AutoCad. For BS 1192:2007 authority reasons and for efficiency I had to get them involved in BIM. Their managing Engineer wasn't very fond of the idea so the talks stuck at how they had special tools and methods to draw and calculate rebars! 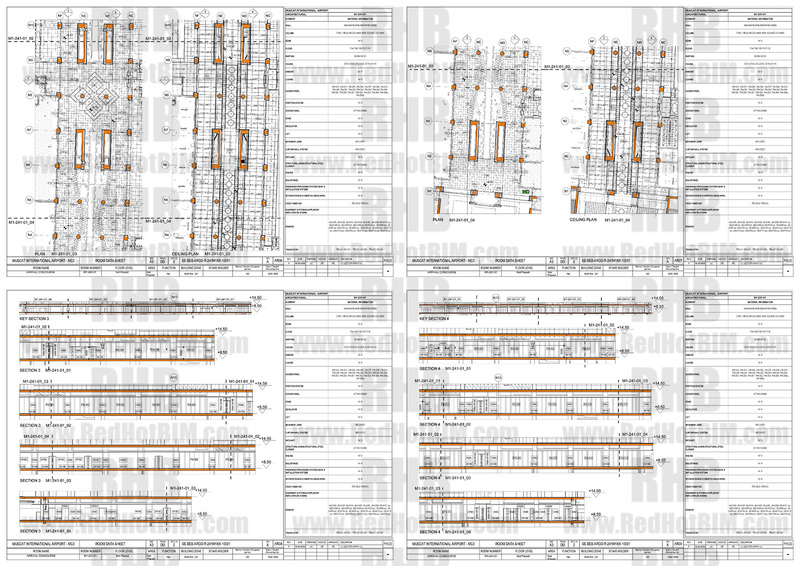 I found myself, an architect, trying to understand their rebar tools and procedure. It does a lot of stuff under the hood. Mostly mimicking their procedure so they could start using it immediately. Uses shapes and formulas from BS 8666:2005. I feed the shapes as family so if you need a new one you don't have to update the code. The video is from a project we've used the add-in for production. Does not show the whole workflow or every aspect of the tool. If there will be interest I can capture more videos. And those guys and their department are using Revit now.. I'm getting a lot of questions lately about a workflow I've created three years ago. I'll try to answer all.. 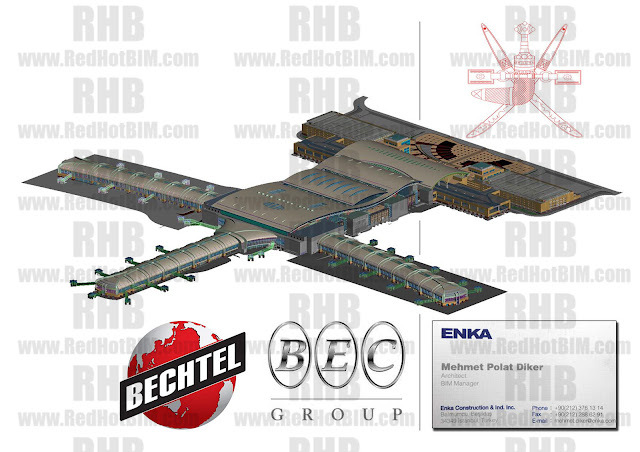 I was the BIM Manager of Bechtel Enka J.V. and we were building the 650.000 m² Terminal Building of Muscat OMAN. 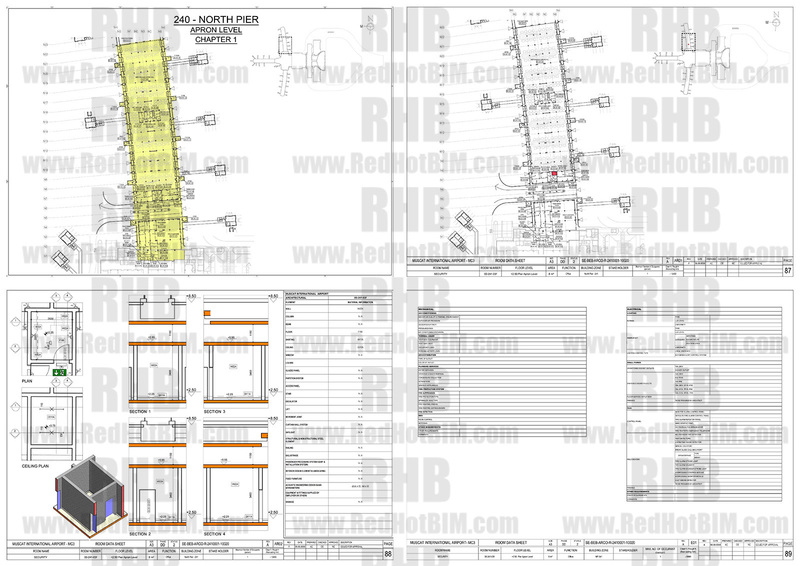 We've used Revit as our BIM authoring tool and heavily utilized Navisworks for soft / hard clash detection and scheduling. I had highly talented 3d artists but still it was neither easy nor fast enough to update the construction animations as the schedules change. As an architect with a very limited coding skill it was hard. There were all that SDK documents but they did mean very little for the average Joe (me). There were great guys blogging and helping like Jeremy Tammik and Saikat Bhattacharya but the problem was getting into coding under the pressure of solving your real world problem. With my award winning persistence I've created my plug-in. With all the computers around us, I believe everyone should know how to tell them do stuff. But especially in AEC when you need coding you already need results in a tight schedule. This year Dynamo changed it all for the masses. With a visual coding tool and a great community you start getting results before you start diving in. Look at Marcello Sgambelluri's blog and you're doing things! I rarely use the timeliner data in 3ds Max. But I use it for Material Take-Offs. I extract MTOs from Revit and combine it with the timeliner data. Watch the video and please tell me what you think..
Strandbeest is back home. 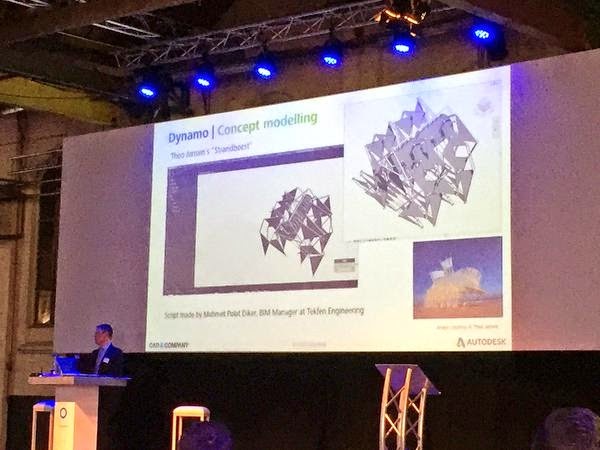 Autodesk Structural Technical Specialist, Dynamo Buddy, Dieter Vermeulen mentioned my Dynamo Strandbeest at NAE2015. It feels great to be mentioned in such a great session by Dieter in Netherlands, heart of BIM and homeland of the artist Theo Jansen! All the credit goes to Dutch artist Theo Jansen for building the marvelous wind powered walking kinetic sculptures called Strandbeests ( Beach Beasts ) that he describes as "a new species on Earth". I remember the first time I've watched a video of Jansen's art work a couple of years ago. I was left totally speechless with astonishment. 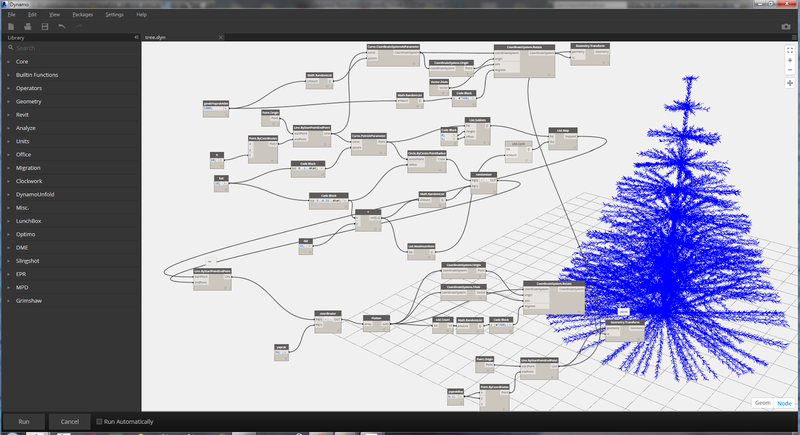 So when I saw @DynamoBIM's twit about Strandbeest in Dynamo, I said "Why not give it a try?"